Hello again friends, I'm popping back in to share a card for Papertrey's Dies-Only Challenge. 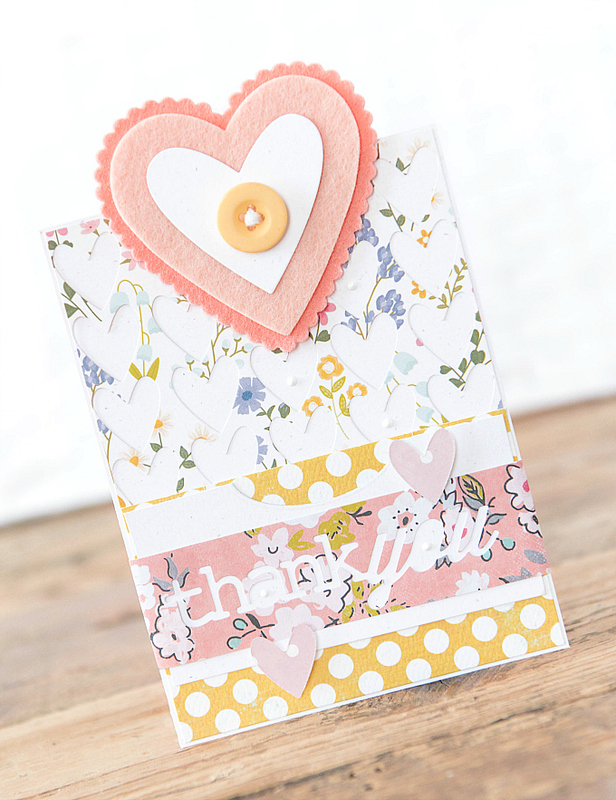 At the top of the card, I used PTI's Limitless Layers: Hearts dies, to cut nesting hearts from two soft shades of felt, including Melon Berry from Papertrey Ink and a lovely color called Peach Blossom from this wonderful Etsy seller . 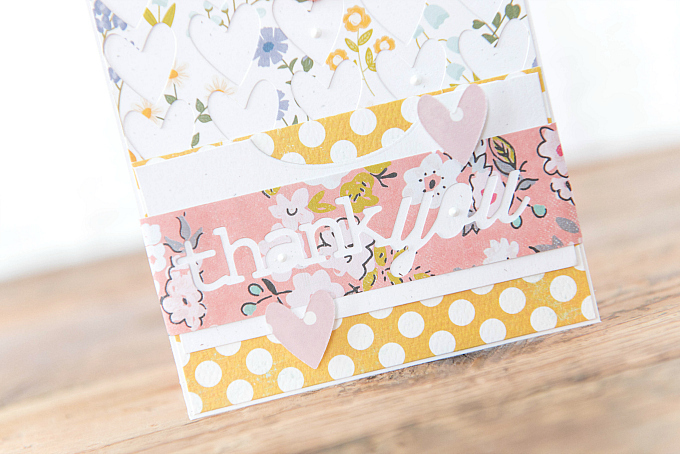 At the bottom, I added another strip of pattern, with a negative die cut of PTI's Wonderful Words: Thank You, and a couple little hearts from the cover plate. I suppose it is possible to create with just dies! I have one more PTI challenge card to share you all, so I hope you'll stay tuned! Oh dear, I am so sorry to hear that life has thrown a spanner in the works, so to speak, and I send love, prayers and oodles of good wishes for your health. Your creations are stunning and gorgeous and utterly wonderful, I adore them all. You have been missed. God Bless and tfs. Oh Karen, thank you so much!! I wasn't too sure about using just dies, but that's the wonderful thing about challenges - they push you outside your comfort zone, and usually for the better! 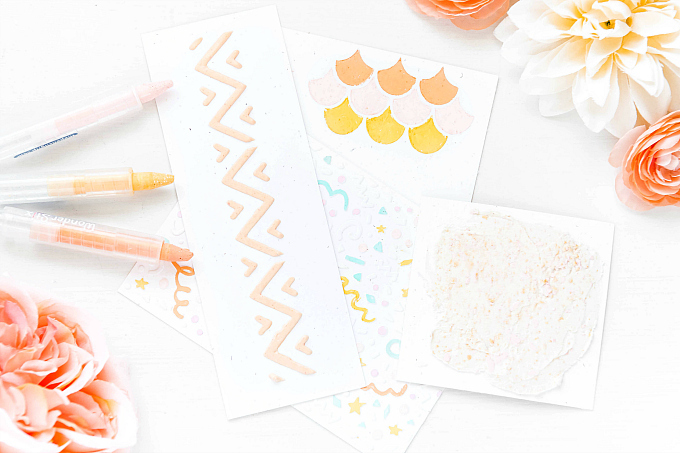 :) Thank you so much for the sweet note and I hope you get use the little goodies and enjoy some crafting time very soon! Sending big hugs! What a perfectly delightful mix of papers! 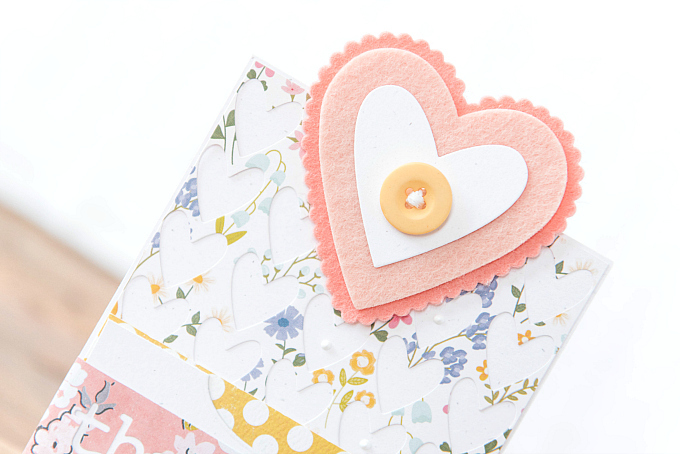 Love the layered felt heart too. This is pretty Ivana!